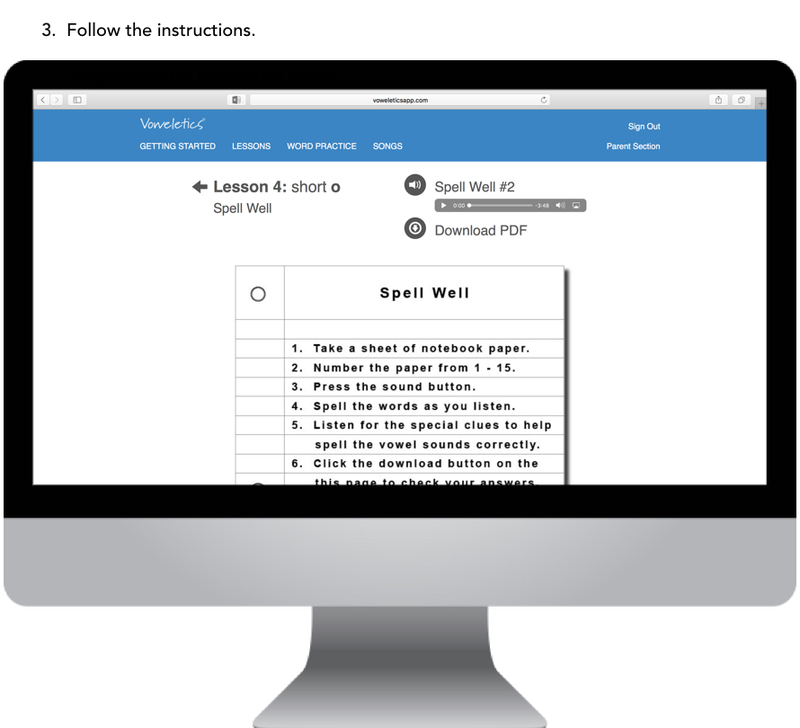 Spell Well provides an opportunity for your child to transfer the vowel sounds and rules into spelling. They are given 15 words to spell. An audio file gives each word, uses it in a sentence and then gives a vowel clue to prompt your child to apply their vowel rules in spelling. Spell Well is intended to be a cumulative review. Click the arrows to progress through the how-to steps. Play the audio file twice. Your child should move on to the next word when the audio file moves forward, even if they have not completed spelling that word. The second time you play the audio file, they will have another chance to complete the spelling. You may pause the video if your child needs more time to spell the word.